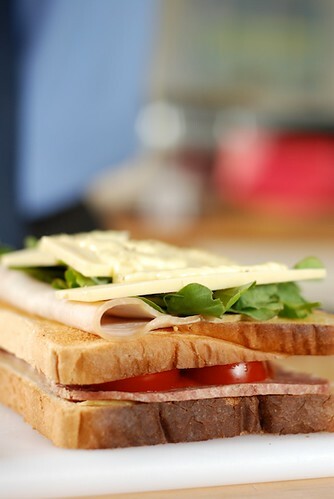 This is not so much a blog post as some photographs of a man made sandwich. Occasionally Ed manages to escape the office and come home for lunch. As he travels around the country to different construction sites for his job he doesn’t manage to do that too often so it’s a nice treat. A few people have commented recently how lucky Ed is that I am at home being domestic, baking cakes for the Weekend, ironing shirts (occasionally) and cooking nice things for tea. …for the first 10 years or so of our relationship. Then I was the lucky one as Ed is a very good cook and we used to have fantastic meals. My cooking is a little more homely and it took a little while for us to complete the changeover from ‘Ed the chef’ to ‘Claire the cook’ as I had to build my confidence in the kitchen. I had to find my own style and to learn not to keep asking Ed questions all the time. 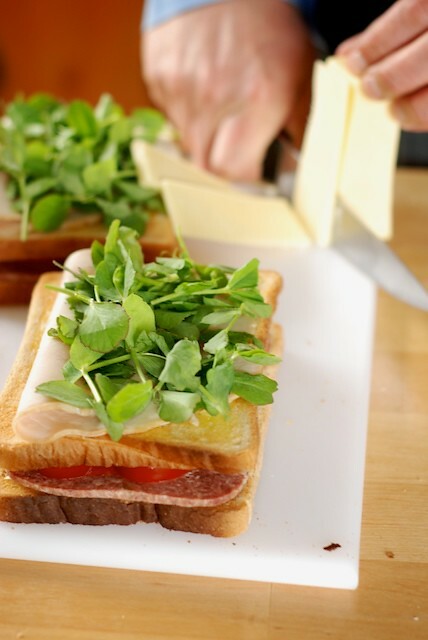 That said it is lovely to watch a man prepare food for you, even if it is just a sandwich. 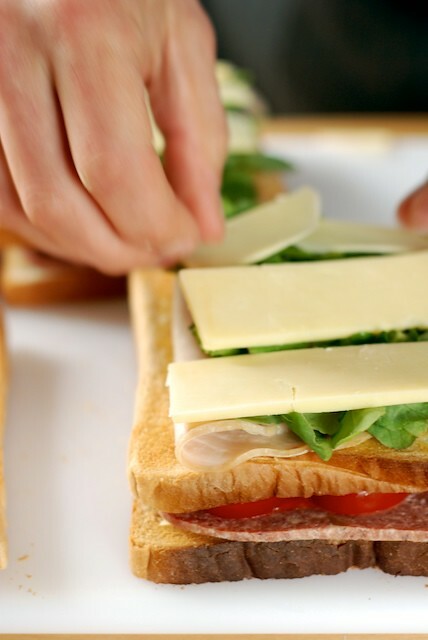 Girls don’t tend to make sandwiches like this. I’d just put two fillings in. Ed goes for an ‘everything we have in the fridge’ approach. 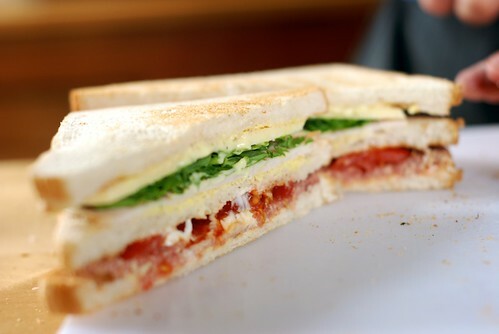 …and the sandwich was good. Wow- that looks totally delicious! Have you ever tried a muffaletta? It’s a New Orleans style sandwich and it’s my absolute favorite!